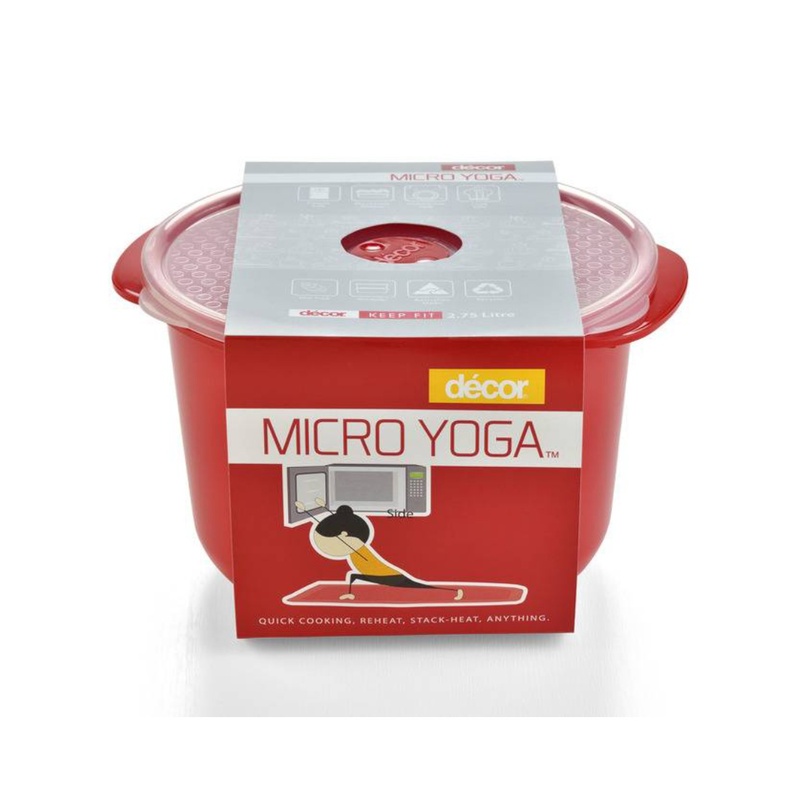 You can make up to 4 cups of cooked rice in the Decor Micro Yoga 2.75 litre Rice cooker. The rice cooker comes with a handy measuring cup and rice paddle. Other features include the red steam release vent and safe-hold handles that stay cool to the touch for easy lifting in and out of the microwave.